The 20.2MP Sony Cyber-Shot RX100 took the photo world by storm when it was introduced in 2012, ending up on several "best of" lists including our own, where we named it our Pocket Camera of the Year for 2012. And it's a swell camera, for sure, providing near SLR-level image quality with a quality zoom lens in a compact body you can take anywhere. The camera proved quite popular for Sony and just a year after it debuted, the company unveiled a quasi-follow-up to that model in summer 2013: the Sony RX100 II. I say "quasi" follow-up, because, according to Sony, the RX100 II is not going to replace the previous model but sit alongside it in the line. How good is the Sony RX100 II's 28-100mm eq. lens? As noted above, the new camera looks very similar to its predecessor, but has a number of important updates. Rather than repeating them here, though, let's just jump into what it's like to shoot with the Sony RX100 II. In the hand. Like its predecessor, the Sony RX100 II won't win any awards for originality of design, but it's still a very nice looking little camera. As we noted earlier, the first RX100 and now the Mark II version are both derivative of Canon's groundbreaking S90 camera from 2009. This isn't the first time the elegant, all-black Canon S90 has been imitated and it probably won't be the last. It's just a classic, simple design, which the Sony RX100 II takes another step further. 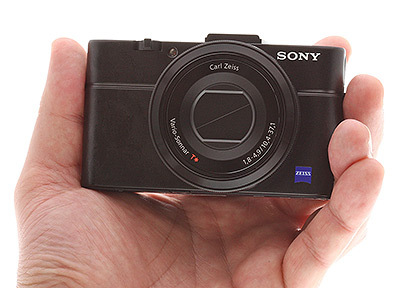 With dimensions of 4.0 x 2.3 x 1.5 inches (102 x 58 x 38 mm) and a weight just under ten ounces (281 grams), the Sony RX100 II is a bit bigger and heavier than the previous model, but still small enough to qualify as a "pocket" camera. It feels heavy in your hand though, and when you consider the luxury price tag for this model -- $750, which is $100 higher than the previous generation -- you'll definitely want a reliable wrist-strap for it to prevent accidental drops. The Sony RX100 II's Carl Zeiss Vario-Sonnar-branded, 3.6x, optical zoom lens is quite large, even when retracted, covering a significant portion of the front face of the camera. That didn't leave much room for my fingers, and my right hand felt scrunched while shooting with the camera. Overall though, the RX100 II felt well balanced, with its metal build and big, 3-inch tilting glass rear display, giving it an air of understated luxury. Controls. 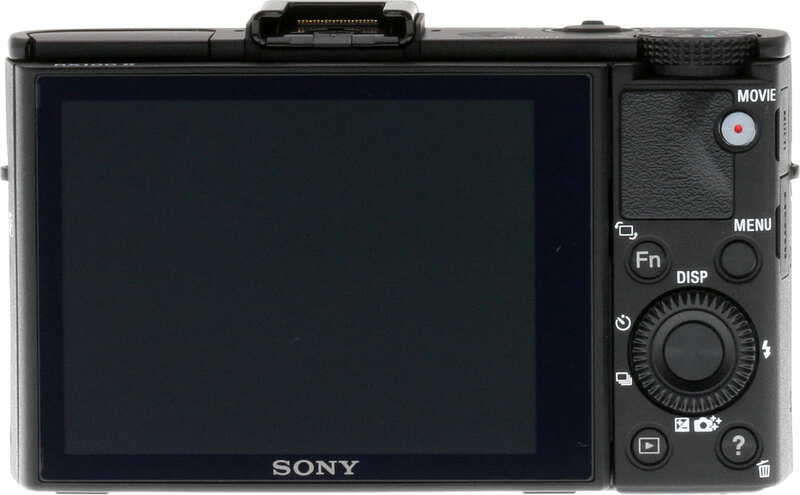 If you're familiar with the Sony RX100 then the layout of the RX100 II will look very familiar indeed. From the front, the two cameras are dead ringers. The only noticeable difference is that the RX100 II adds a hotshot on top of the camera, which you can see as a sliver above the 3.6x optical zoom lens. From the top, the RX100 II also looks a lot like its predecessor, with the only noticeable changes being the aforementioned hot shoe, which is straddled by two smaller, vertical holes for the stereo microphone. The body also looks slightly thicker, but that's mainly because of the folding rear screen, which juts out slightly in the top view. Otherwise, the small shutter button with the surrounding plastic zoom ring is in the same place on the front right of the camera. The shutter button doesn't look like much, but it's quite responsive. While photographing the Medieval Festival in New York City, I was able to move through the crowd and quickly snap photos of people dressed up in period costumes without them noticing. I was less keen on the flimsy, plastic zoom ring that surrounds the shutter. It felt under-matched for the big chunk of Zeiss-branded glass on front of the camera, with the camera zooming slowly and not particularly smoothly. Speaking of zoom, the Sony RX100 II adds a smart function its predecessor didn't have: the ability to "step zoom" using the knurled, black ring around the lens. This is something you have to "turn on" via the RX100 II's somewhat complicated menu system, but once it's engaged, it will let you zoom to predefined focal lengths of 28, 35, 50, 70, and 100mm by just nudging the dial to the left or the right (you don't need to be precise.) That's a nifty feature, but it's also not particularly fast. A point made in our 2012 review of the RX100 holds true with the Mark II version: the front ring control is both a blessing and a curse. It's great once you decide how you want to use it -- such as the step zoom feature -- but when you switch modes its function can change. Indeed, so many changes affect other operating factors, that the Sony RX100 II's many options can become something of a burden. In a nutshell, while the RX 100 II's controls seem simple, they're actually quite confusing if you dive deeper. Word of warning: you may spend more time figuring out all the bells and whistles on this camera than you expected. On top of the Sony RX100 II is the small, recessed on/off button, and the small, knurled mode dial, both of which do what they're supposed to. The mode dial strikes a good balance between being easy enough to adjust, yet stiff enough to not get changed accidentally. On back, the controls are similarly basic-looking (and identical to the RX100). There's a recessed, one-touch movie button to the right of the rubber thumb-rest, which is easy to engage if you want to quickly start shooting a movie, but not so easy to access that you record video by accident. Otherwise, the rear of the camera has four small buttons for Function, Menu, Playback and Help/Delete, surrounding the small Control ring and engage button. The simplicity of the controls on the Sony RX100 II show that it's aimed at the point-and-shoot crowd even if its does have the superior image quality and complex functionality of a more advanced camera. Tilting display. One of the major upgrades of the Sony RX100 II compared to its predecessor, is the tilting, articulated, 3-inch LCD screen. Like the previous model, the RX100 II's display has 1,228,800 dots (307,200 pixels) of resolution, and images look crisp and clear in playback. There's no optical or electronic viewfinder (EVF) on the RX100 II, though the camera's hotshoe is actually a Multi Interface Shoe that not only lets you use external strobes, but also allows you to attach an (optional) EVF. The Sony FDA-EV1MK Viewfinder, which offers 2,359K dots of resolution, does not come cheap, though: it'll cost you an additional $450. You have to be a bit careful with this camera though. The shot to shot speed of the Sony RX100 II, which I'll go into more in the next section, is so quick it can outpace the autofocus, and you'll end up with a bunch of blurry pictures. Unless you're in a real hurry to fire off a bunch of photos of, for instance, sports or runaway toddlers or pets, wait the extra split second for the camera to achieve focus lock before you take your next shot. I was able to use this method to capture lots of sharp shots of characters at the Medieval Festival. Technically speaking, the Sony RX100 II uses a 25-point auto-focus system, and offers center spot, flexible spot, and tracking modes, including face tracking, which came in handy for my on-the-fly Medieval portraits. Street photographers will surely love this camera. On the street. The Sony RX100 II is a no-brainer if you need an excellent, unobtrusive street camera. Performance. Generally speaking, the Sony RX100 II is a pretty zippy performer. I mentioned the camera's quick autofocus in the previous section, but what really impressed me was how fast the RX100 II is from shot to shot. The camera is powered by Sony's BIONZ image processor and it does a good job of keeping this camera rolling. Just lightly trigger the shutter button, and the RX100 II will capture shot after shot with barely a pause between. Many compact cameras, even the expensive ones, experience some kind of shutter lag or delay between shots to process the image info, but in my real world testing the RX100 II did not. The Sony RX100 II also has a very quick burst function, called Speed Priority Advance mode, which in my testing let me rattle off 9-10 frames per second. In this mode, focus and exposure are locked from the first frame. After I fired off about 12 JPEG images using this Speed Priority Advance mode, the camera slowed down to one frame per second, as it cleared its buffer. It recovered quickly though, and after another few seconds, I was able to fire off another burst. I got about the same buffer depth -- 11-12 images -- when shooting Raw images, and could fire off 10 shots in Raw + JPEG mode before the buffer filled up. Oddly, when shooting Raw or Raw + JPEG, frame rates weren't as high. (In the lab, performance with Raw files varied between 4.6 and 5.8 fps.) We did not see burst rate decline when shooting in Raw and Raw + JPEG modes with the RX100. There are a few areas where the Sony RX100 II lags in its performance. For one, it's not very fast to start up and get to first shot: I average about 2-3 seconds there. Similarly, it took about two seconds to shut down and collapse its zoom lens. These certainly aren't deal-breakers -- AF and shot-to-shot speeds are more important -- but I wish it was a bit quicker off the blocks, considering how pricey it is. The moral of the story: keep the RX100 II turned on if you want to always be ready for a quick shot! Just how fast is the Sony RX100 II? Find out by clicking here to see our performance test results. Image quality. 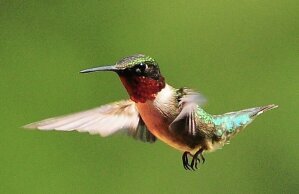 The image quality from the Sony RX100 was great for a compact camera, and the RX100 II produced even better results. We've mentioned it previously, but Sony's decision to put a new BSI sensor in the RX100 II while keeping the same 20.2 pixels of resolution and the same 1-inch type size was a smart move. In decent lighting at low ISO, the RX100 II performs as well as the previous model, which is to say, it captures fantastic, SLR-quality photos. And in low light it excels its predecessor, as we've demonstrated in side-by-side tests in other sections of this review. The Sony RX100 II did a great job of capturing detail in the lower shadow areas of beach houses I photographed, while not blowing out too many highlights in the brighter sunlight hitting the rooftops. Meanwhile, the surrounding skies were filled with a glorious pale blue color with wispy, white fingertrails of clouds in the distance. Detail throughout these images was excellent, with the RX100 II's 20.2MP sensor providing abundant resolution with clean results, thanks to its larger-than-average size for a pocket camera. Going mobile. Out and about with a true pocket camera, the Sony RX100 II will not weigh you down. Where the Sony RX100 II really sets itself apart is in its ability to capture, sharp, detailed images in low light at high ISOs. The biggest innovation with this camera, as we've mentioned before, is that it's the first model with a 1-inch type backside illuminated sensor, which is designed to increase the amount of light the chip can capture. In my testing, I found the RX100 II to be an excellent low light performer, and I felt totally comfortable shooting with the camera at up to ISO 6400, which is a rare thing in my experience for a compact camera. The low-down. Compact camera lovers, meet a camera that can go low without needing flash. My only real complaint about the Sony RX100 II's low light shooting abilities is that, given how much latitude the camera offers for shooting clean, detailed images at high ISOs, I would have liked a dedicated ISO button on the camera body for making quick changes. I know you can adjust ISO with the various control rings and menus, but it requires an extra step. Overall though, the Sony RX100 II is an exciting camera to use when it comes to image quality. While I wouldn't trade it for a good DSLR with an APS-C sensor -- such as the Nikon D7100 or Canon 70D -- even at the RX100 II's high $750 price, it's a lot cheaper than either of those cameras, especially when you factor in the cost of a DSLR's interchangeable lenses. Plus, the RX100 II is a heck of a lot smaller than even the smallest DSLRs on the market. For those DSLR shooters who don't want to bring their big rigs with them everywhere, the Sony RX100 II is a great second camera you can stash in a pocket and be assured of terrific quality to boot. but be sure to see side-by-side comparisons of the RX100 II against its top competitors. Video. The Sony RX100 II also performed well when it came to video quality, which is also likely due to the new backside illuminated sensor's low-light shooting chops. During the Medieval Festival, I was able to shoot clean footage of Irish dancers performing on a shadowy stage, and then slowly pan out to the daylight where young girls dressed as princesses and witches danced as well, as they tried to imitate the performers. The RX100 II did a great job of not only producing crisp video of the shadowy stage, while automatically brightening the scene to show the dancers, but it also transitioned very smoothly from the darkness to the daylit area, creating a high-quality clip. As with the previous model, the RX100 II can shoot 1080p using the AVCHD format, but along with smooth frame rates of 60i and 60p, the camera adds a 24p mode, which makes video footage look more "film like," whatever that means. Seriously though, 24p is a nice option, which the previous model didn't offer. Personally, I would have preferred if the RX100 II had a full, 1920 x 1080, HD video mode in the more compatible MPEG-4 video format. The camera offers MP4 shooting as an option, but its at a maximum of 1440 x 1080 at 30p only. Otherwise, it's a very good little camera for shooting HD video. There's some manual override available, including for exposure, if you want to get creative when shooting video. Meanwhile, the camera's SteadyShot image stabilization helped keep my video quite steady, even when zoomed in and while panning. Sound quality from the built-in stereo microphone on top of the camera was good if not outstanding -- about what I expected -- though the wind noise reduction feature did help a lot during my outdoor video shooting at the Festival. Wi-Fi. The Sony RX100 II does have built-in Wi-Fi, but setting it up and getting the camera to communicate wirelessly with a computer so you can share your photos on a social network is not easy. It didn't help that the RX100 II early sample unit I tested did not come with a manual. I did find an RX100 II manual online in an HTML format on Sony's website, but the information on how to use the camera's Wi-Fi radio to zap images to my computer was not helpful, and I ended up giving up. On the other hand, there was extensive information on how to use the camera's Near Field Communication (NFC) radio in the online manual. The only problem for me, though, is that NFC is not supported by the Apple devices I own, so couldn't use it to establish a connection with my iPhone or iPad. On the other hand, if you have an NFC-compatible device, such as some recent Android or Windows phones and tablets, the process seems simple: just turn on NFC on your smart device, then hold the Sony RX100 II next to the NFC device, and the two will connect and images and video are transferred through the air, courtesy of a Wi-Fi link. To sum it all up, the question for me isn't why you'd want an RX100 II, it's more like why wouldn't you? If you've been shooting with a compact that has a traditionally small sensor, this is a great next step. And for pros and enthusiasts looking for a lighter alternative for casual shooting, this camera is a great option to the bulkier rigs.